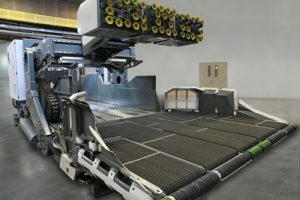 Technology giant Honeywell has launched a fully automated robotic solution to unload wide range of packaging from trucks trailers and shipping containers. According to Honeywell, this is an important step aimed at reducing physical effort and improving productivity at warehousing and distribution hubs. The robotic unloader uses AI to operate fully autonomously inside of a trailer, which significantly reduces the human effort required for operating receiving docks for retail merchandise and parceling distribution centers. The new product will help customers improve workplace safety, reduce staffing challenges and minimize damage to packages. “For distribution center workers, unloading packages is labor-intensive, physically demanding and injury-prone work that is often subject to extreme temperatures. These factors lead to low employee satisfaction and high turnover – as much as 36 per cent, according to the U.S. Bureau of Labor Statistics,” said Matt Wicks, vice president of product development at Honeywell Intelligrated. Hiring and retaining employees at logistics warehouses have been particularly challenging as these jobs demand physical labor and are prone to injuries. The boom in e-commerce has increased pressure on logistics service providers to improve labor productivity and cost efficiencies. Hit with high labor turnover, most significant technology breakthroughs in recent years have been focusing on automating the warehouse. “With our robotic unloader, we are using advanced machine learning to allow workers to remove themselves from the extreme environment and to oversee multiple unloading machines, increasing productivity and improving safety,” asserts Wicks. Honeywell’s new robotic unloader drives into a trailer or container and uses machine vision to identify various package shapes and sizes as well as the optimal approach to unloading. A robotic arm with a series of small suction cups conforms to the package shape to gently extract it from the stack. A conveyor below the arm can serve as a sweeper for packages to move them out of the trailer. Unlike other unloading solutions, the Honeywell Intelligrated unloader is fully autonomous and is designed to work within existing fleets to eliminate the need for costly configurations or modifications to trailers or standard shipping containers. The unloader also features patented gentle mechanisms to minimize package damage without impacting performance.